Questions about planning your spring class schedule? Want to talk to transfer Academic Advisors without having to wait? 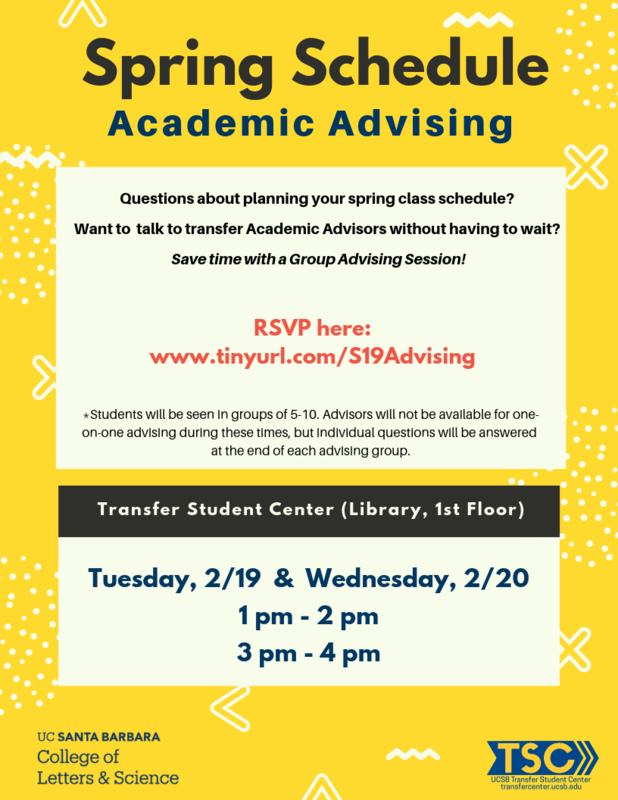 Save time with a Group Advising Session!